Wrapping up our our latest concert series and another year of TPS! Five performers, three concerts but only one afternoon tea! Moruya was first off the blocks and we enjoyed lovely spring (summer?) weather which allowed us to test out the even lovelier air conditioning of St John's . Thanks everyone for a great turn out which practically filled the church – our best audience yet! We were rather concerned to find that the hall was not available for use this time, but such a balmy afternoon was perfect for an alfresco celebration after the concert with a real country arvo tea supplied by our fans. Chatting revealed that everyone had favourites in the program and I was personally chuffed that our Beethoven trio was also popular in a program that included many crowd-pleasers. The harp (together with Owen our harpist) was certainly popular and was the star of many post-music photos, but we also had comments on the extra dimensions that Rebecca's additional violin added to the mix. We string players are considering having our instruments gilded to get the same attention, although probably not recommended acoustically! I must say the harp did look very elegant in my spare room and I was a bit sorry to see it go. Sadly, we hear that Pauline, our liaison and helper at St John's will be leaving the South Coast for the big smoke of Our Nation's Capital. We'll be sorry to lose her but wish her well in her new home. Next was Blackheath and again we were fortunate to have the performance, in the wonderful acoustics of the Presbyterian Church, recorded for broadcast by Paul Cosgrave. Due to an unavoidable clash with another local concert the audience was smaller than usual, but they certainly made up for numbers with enthusiasm. Unfortunately the hall was out of commission here too, due to electrical problems, and considering the typical vagaries of Blackheath weather, the great outdoors was out of the question so we reluctantly decided to cancel our afternoon tea. As it happens, there was quite a good snowfall just days before the concert and it was still much cooler on the concert afternoon. We really missed the chance to chat to everyone after the performance, although we did manage to catch up with some friends and family afterwards. Some bad news just in, it seems the hall won't be fit for use for a while, so afternoon tea in Blackheath will be on hold for a while, unless anyone has a suggestion? Then finally we trialled a new venue, the Village Church in Annandale. Although it looks like a typical old church on the outside, it is very modern inside and certainly a departure from our other cosy venues in feel, although very nice acoustically. Thanks to a stalwart audience who joined us in very warm conditions – next time we will make sure we know how to work the air con! Fortunately there was a pub directly opposite for a cooling post concert drink. It's always great for us to perform a program three times and we hope to continue our Inner West series next year, although we are currently deciding on possible venues for Sydney concerts in 2015, so let us know if you have a strong preference from our previous performances. We are also working on repertoire, guests and dates for next year, so make sure we have your contact details for our mailing list and keep an eye on our website for any updates. It's been an enjoyable and successful year for TPS, so a big Thank You to all who supported us with help, donations and of course attendance at the concerts. A very Merry Christmas from us and we look forward to seeing you soon at a concert near you! it cannot be emphasized too strongly that art, as such, does not “pay”, to use an American expression – at least, not in the beginning, and that art that has to pay its own way is apt to become vitiated and cheap. We may be able to test this out on some of the local cattle while in Moruya! 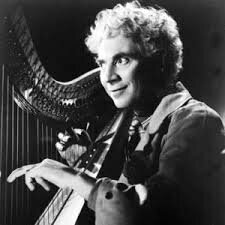 I am the most fortunate self taught harpist and non-speaking actor who ever lived. this one is obviously about a much smaller harp than the concert version we will be featuring, unless you want to bring the house down literally! What's the difference between a Celtic Harp and a Concert Grand Pedal Harp? As the minuet declined in popularity a new craze took over; Waltz (Walzer, Valse. Valzer) became the dance of the 19th century, as well as a musical form in its own right before evolving to adapt to life in the 20th and 21st centuries. It seems to have originated in German and Austrian peasant dances such as the Landler, that involved jumping, hopping and stamping steps. 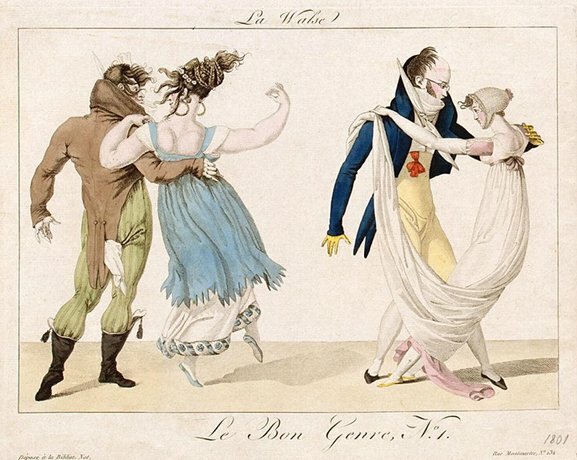 By the late 18th century the waltz was spreading to the cities and upper classes, becoming much faster with more gliding and turning steps; part of its shocking appeal was no doubt due to it being a couples dance where partners embraced rather than staid formal group dances such as the minuet. Berlioz of course included a waltz in his Symphonie Fantastique and other orchestral concert waltzes are by the Mephisto Waltz by Liszt, Danse Macabre by Saint-Saens and Sibelius, Valse Triste. Tchaikovsky used one in Symphony No 5 and especially in his famous ballets. The waltz was an early infiltrator into opera with Soler's Una Cosa Rara, of 1786, which is indeed rarely performed now, mostly famous for providing that first occasion (as well as some of Don Giovanni's dinner music). Richard Strauss and Puccini provide many examples but even Wagner and Berg were in on the act. I need hardly mention those other Strausses, elder and younger, who took the Dance waltz to its greatest heights. Coming from the tradition of leader/conductor (which has been revived today by a certain popular violinist!) their music favoured the violins and began the use of descriptive names (eg “On the Beautiful Blue Danube” “Where the Lemons Blossom” “Legal Amendments”), and with the younger Johann, extensive introductions. The Viennese waltz is distinguished by its anticipation of the second beat which gives it a definite swing. In the 20th century the adaptable waltz left the ballroom and concert hall and went both jazzy and country-and-western. It developed Spanish, Peruvian, Cuban, Mexican, Cajun, American, Scandinavian and Irish accents and is still going strong. 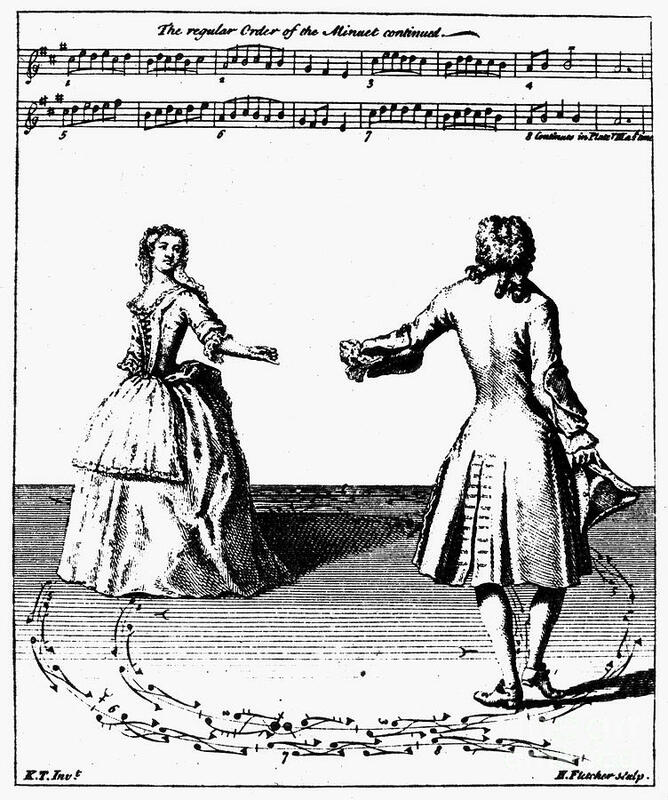 Compared to many of the short-lived fads of our times, the Minuet (or Menuet, Menuett, Minuetto) was truly a dance that stood the test of time. Probably emerging from a French rustic dance it was first performed at court by Louis XIV himself and became the most popular social dance up to the late 18th century. The name may be derived from 'menu' meaning small and slender, describing the typical small steps of the minuet. In its heyday at the French court it was a slow to medium speed dance described as dignified, elegant graceful and unaffected. You might be surprised to know that it was usually performed by just one couple, with the basic steps ornamented according to their ability and taste. Remember this was the age of the Dancing Master when the aristocracy had the time and money to devote to regular instruction and practice. The dancers criss crossed the floor in large Z-shaped figurations involving presentation of firstly right, then left and finally both hands. Its adaptability surely ensured its longevity; in Italy it tended to be much faster and in Spain and Portugal steps from national dances were incorporated. Minuet steps in turn were adopted into the Contredanse which gave a dance for more couples and later even steps from the waltz made their way into the 19th century minuet. More about the waltz soon! Musically, its simplicity of rhythm, style and structure was also a factor in survival; an entire dance figure normally required only 120 bars. 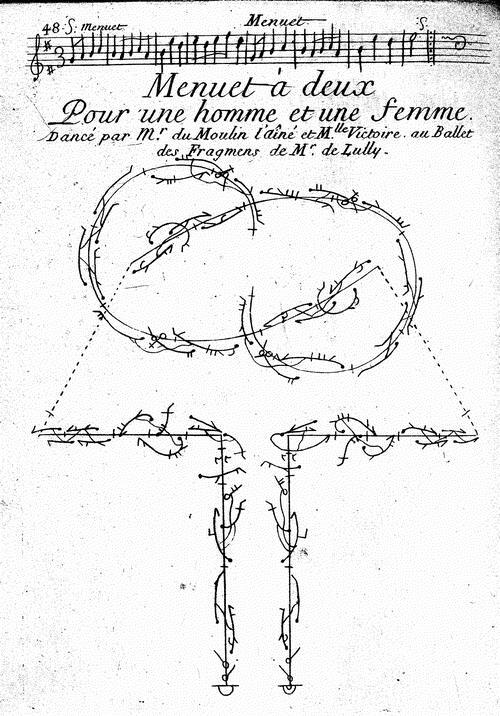 The minuet was commonly part of the Suite and when that declined in use after 1750, it was the only major baroque dance to persist, remaining popular in the ballroom as well as in opera and ballet. At first it was often used a final movement in early symphonies before becoming the standard 3rd, often paired with a contrasting “trio”, a survival from Lully's over 90 examples, where he would often orchestrate a section for just three instruments. Probably its most famous appearance on stage occurs in Mozart's Don Giovanni, in the finale of Act 1 with its juxtaposed dances, where the minuet represents the aristocracy. Later in the 18th century it started to be replaced by the scherzo – which first Haydn and then especially Beethoven often preferred as more energetic and gutsy. Boccherini of course remained faithful to the earlier form, although apparently the “celebrated minuet” from the String Quintet only became very famous in the late 19th century. 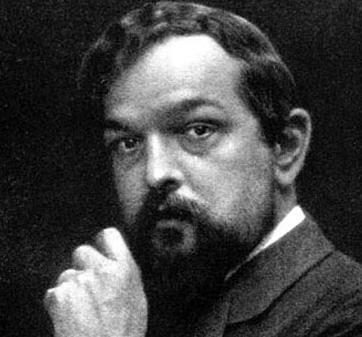 Romantic composers continued to write minuets occasionally but the Neo-Classical movement of the 20th century saw a nostalgic revival, with Debussy, Faure, Ravel and Stravinsky all contributing examples. This, too, is where our Puccini Minuets fit in, as a nostalgic, bygone grace is evoked. Spring has finally arrived here on the south coast, with the peach blossom all out and hopefully no late frosts! Everyone seems to be talking about which variety of tomato to plant and whether it is too early to put beans in yet! Garden plans aside, Three Piece Suite has been busy through Winter devising another program, this time based around the theme of Dance. While we have not chosen any Spring titled compositions, there are quite a few out there, with probably the most ubiquitous being Vivaldi's Concerto No 1 in E major from Il cimento dell'armonia e dell'inventione (The Contest Between Harmony and Invention) better known as Spring from the Four Seasons. Not so well known is the fact that Vivaldi based each concerto on a sonnet, probably written by him, which was quoted and printed in the score. Here are his descriptions of Spring. Not far behind in popularity must be Beethoven's Spring Sonata for violin and piano, although he didn't give it that nickname. Are pieces with appended titles more popular because of them or are they given sobriquets because they are intrinsically more appealing? Either way we also have Spring Symphonies by Schumann (number 1) and Britten. Haydn, Glazunov and Tchaikovsky all wrote various works titled The Seasons. One of Mendelssohn's Songs Without Words is called Spring Song and another much harder piano piece all students used to aspire to is Sinding's Rustle of Spring. Schubert of course composed several songs with words, mentioning Spring in the title as did Grieg. I also thought of Copland's Appalachian Spring, but apparently that refers to the other, watery kind of spring! For a more savage and less hearts and flowers view there is of course Stravinsky's ballet Rite of Spring, but we don't want any riots at our concerts!